Spine Scan Chiropractic Clinic Perth can accurately detect the reason for nerve / muscle / joint dysfunction and assist the body in the healing process. Patients visiting Perth Chiropractor Dr. Rocchi need have no fear with their treatment. No twisting or cracking of the spine is involved in the gentle Trigenics Neurological treatment system. Dr. Rocchi was the first in Western Australia to offer functional Trigenics that provides benefits including, immediate pain relief as well as improvement in strength and flexibility. Do not allow these problems to become chronic, take action! Call Spine Scan today on (08) 6150 8785 (Scarborough) or (08) 6150 8783 (Mount Pleasant) to book your first consultation and find out how this revolutionary technique can help you get back to enjoying life to the full once more. When tendons, muscles or ligaments become damaged, either as a result of a bad lift, direct trauma, a twisted spine or simply through poor postural habits, nerve sensors within the muscles (and there are millions of them) stop sending proper messages to the brain. Trigenics (as the ‘tri’ in the name implies), actually combines three treatments in one. It results in an increase in neurological summation that, simply put, is the process of using repeated stimuli to produce the correct response in a nerve, muscle or tendon that a single stimulus would not be able to produce. Reciprocal Inhibition. Muscles that control the movement of a joint are either extensors or flexors. Extensors on one side of a joint must relax in order to allow flexors on the opposite to contract and bend the joint correctly. This process must work in a synchronized way to enable the joint to move smoothly. Inverse Myotatic (or Golgi Tendon) Reflex. This reflex protects tendons from damage during muscle movement by causing a muscle to relax before tension in the associated tendon becomes great enough to cause the risk of damage. What Does Trigenics Treatment Involve? This neurological treatment system resets the way the brain communicates with the body to relieve pain instantly, and increase strength and flexibility. In order to achieve this Dr Rocchi manually stimulates nerve sensors within targeted muscles while the patient is simultaneously making a specific movement for the muscle getting treatment. It is change that happens instantly while the body part is in motion. 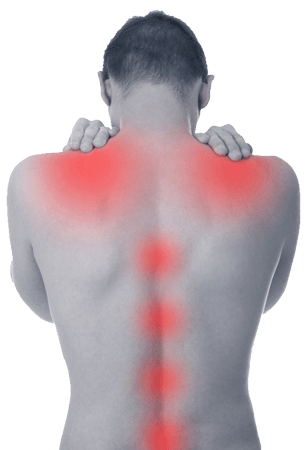 Joint alignment and joint tracking problems will cause inflammation and degeneration in joints resulting in stiffness in the neck and muscles, headaches and lower back pain. If the neurological imbalances that are causing your pain, stiffness and joint mobility problems are allowed to persist for long periods of time, they will create significant issues throughout the body. The Trigenics system means that these dysfunctions can be detected and treated successfully by your Perth Chiropractor if, they are caught in time.